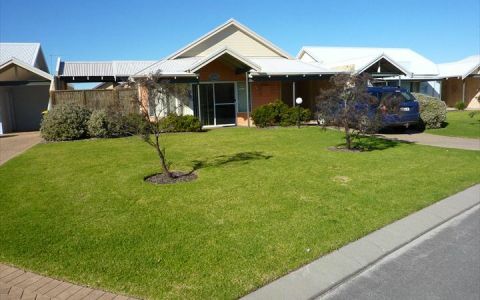 The 19th Hole Beach house at 26 Barry Court Villa in Collingwood Park Albany, offers you a warm ambience and all the modern conveniences to make your stay relaxing and enjoyable. 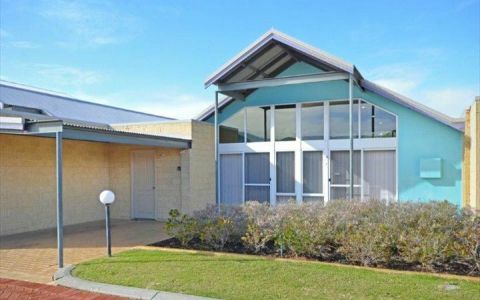 Situated on the beautiful South Coast with tranquil Middleton Beach, Albany Golf Club, cycle and walk paths on your door step, makes it the ideal base to discover the awe-inspiring Albany. At the 19th Hole Beach House you have all the privacy and space of your own villa but you are not alone! We have arranged the team at The Beach House at Bayside (5 star private hotel) located opposite your villa to meet you on arrival, introduce you to the facilities of your villa and Albany and make recommendations for meals, tours etc. Albany is Western Australia’s Oldest settlement, rich in history, beautiful beaches and natural beauty. The sights and activities are endless with it’s amazing coastline and mountain ranges offering great swimming, fishing, diving, hiking, wineries, galleries, museums, restaurants, cafes, tours, markets or simply relaxing amongst the natural beauty. Discover all Albany has to offer starting at the 19th Hole Beach House. WIFI available for purchase. Two queen bedrooms with bathroom and ensuite, lounge, kitchen, laundry. Cot complimentary by arrangement. Two queen bedrooms with two bathrooms, lounge, kitchen, laundry. Cot complimentary by arrangement. One queen bedroom with ensuite bathroom, lounge, kitchen, laundry. Cot complimentary by arrangement. Deposit for one nights accommodation is required to confirm booking. Remainder of accommodation charges are required at 14 days prior to arrival. Cancellation Policy: If more than 14 days notice of cancellation is given the initial deposit will be refunded less a $50 handling fee. If cancellation is received less than 14 days before the arrival date all deposits will be forfeited unless alternative arrangements can be negotiated. In addition there will be a $62 Albany Visitors Centre cancellation fee. 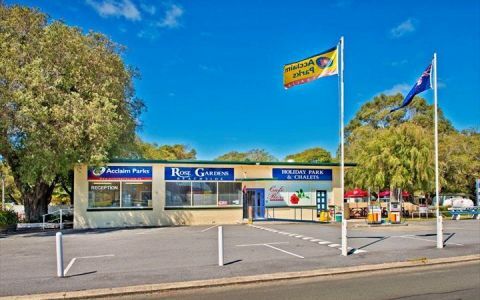 Travelling along Albany Highway towards Albany you will reach outskirts of town with a long row of car dealerships on your left. At the first large round-about take the second exit on the left into North Road – Following signs to Emu Point. Travel approx 1.5kms (through two small round-abouts) to the third small round-about at the corner of Ulster Road – turn left. Travel for approx 3kms along Ulster Road – turn right at Troode Street. Travel to a T junction at Golf Links Road – turn left. Travel approx 100mtrs – turn right into Barry Court. 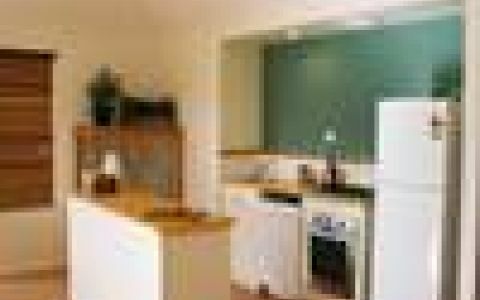 Travel approx 250mtrs to 26 Barry Court which is a blue building on the right hand side. We stayed (3 adults) at the 19th hole self catering unit attached to the Beach House. 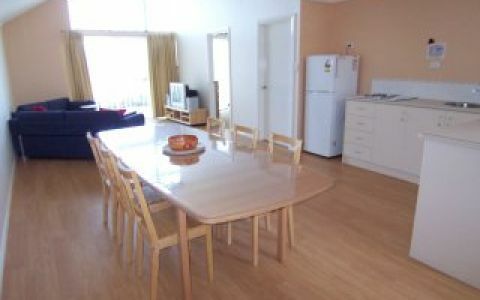 Well located in walking distance to Middleton Beach and a short drive into town or the various attractions of the region. If staying make sure you have breakfast at the Beach House, sensational value at $25. Fantastic muesli, lovely fruit, bread and croissants. The highlight are the cooked options, in particular the poached eggs, rivers of gold. 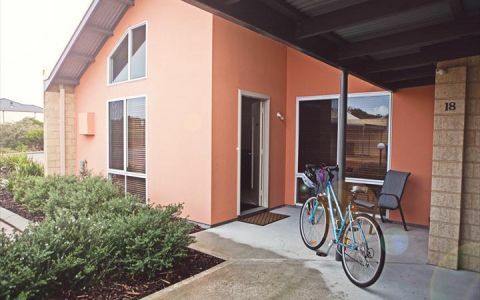 We loved the place as it was family friendly well equiped kitchen spacious with play equipment for the kids in the backyard, close to wineries, hot springs and enchanted garden. The owners have got this right our welcome was like greeting long lost friends. Our suite was excellent and the breakfast was to die for. Nothing was too much trouble, Craig even took to our restaurant for dinner each evening, What service. The location w as great, the beach and golf course very close.